Click on the description text to view the item. 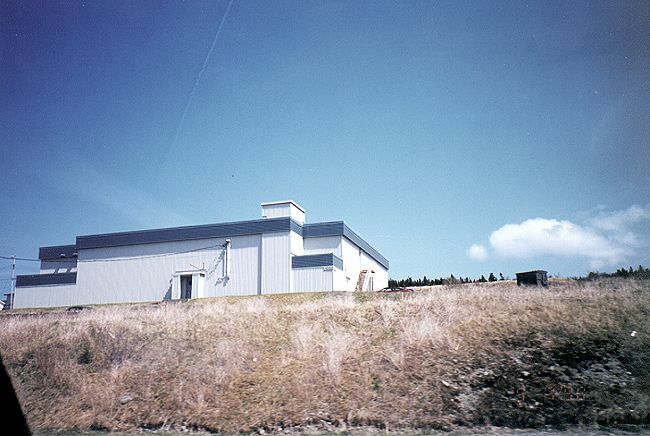 Building #1050 (Air War Room) - 7 May 1998. 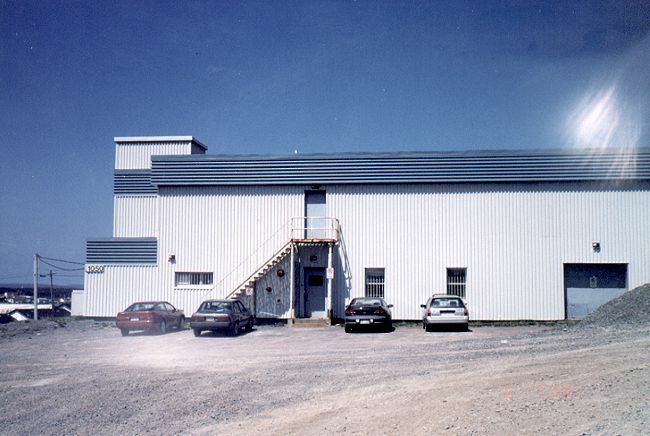 Headquarters building at Pepperrell (now Pleasantville). 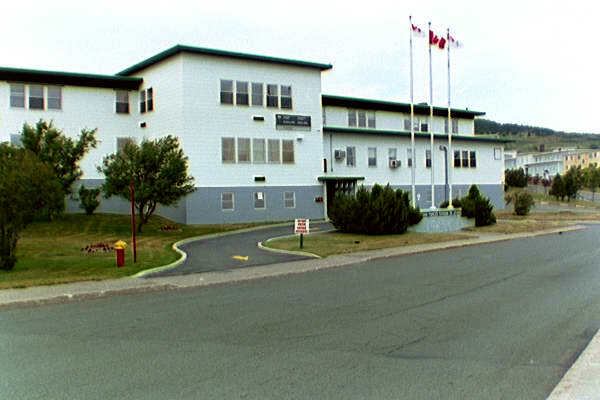 This was NEAC headquarters, then 64th Air Division (Defense) Headquarters and presently Canadian Forces Headquarters - 1998. 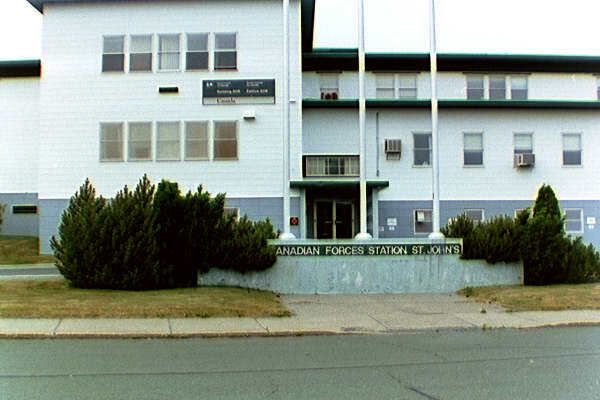 Close up of the front of the Headquarters building - 1998.